With the 2012 election and presidential debates all the rage in the news, many of us are looking for resources and ways to discuss the election with our kids. Thankfully, there are several sites to keep kids informed and get them excited about civics and American democracy. While kids can’t vote, that shouldn’t stop them from learning about how we elect our President and understanding how our government works and–who knows–perhaps work to improve the processes for the next generation. Here are some kid-friendly resources aimed at 6-13 year olds worth checking out before Americans head to the polls on November 6th. The Democracy Project offers up fun, interactive election-themed activities for early-elementary age kids to learn about the candidates and the election process. “Meet the Candidate” is a kid friendly infographic-style page that offers up quick fun facts about each candidate. 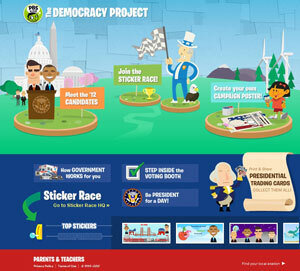 “Sticker Race” is an interactive section where kids can create and share campaign stickers about issues important to them and the candidates that they support. You can even create your own campaign poster, or be “President for a Day,” where you’ll experience the tough decisions that need to be made if you were actually in office. Scholastic offers informative (and interesting!) election maps and games, as well as engaging trivia (do you know all seven hats that a president wears?) and discussion questions to engage with the tween and teen crowd. 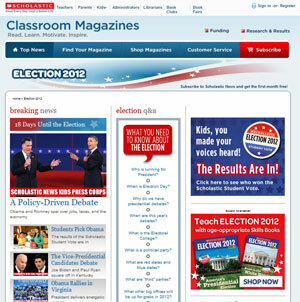 Throughout the election process, the site's news, polls, and videos will keep kids informed. Kids.gov: How to Become President of the U.S.
Kids.gov is a government resource for kids and parents that has basic election info broken down for elementary-aged kids, middle schoolers, and teachers and parents. 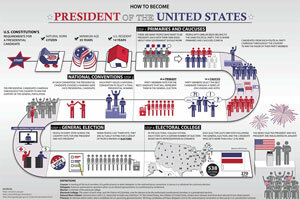 In particular, check out the terrific downloadable “How to Become President of the U.S.” poster. 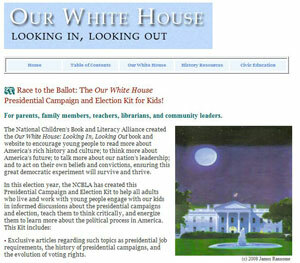 Our White House is a resource for parents and teachers to spark kids’ interest in politics. It encourages them to get educated on the history of the elections and the role of the president and engage in discussions and activities around the election. The campaign election kit is chock-full of info that provides answers to the detailed questions your kids may ask you. My kids thought this quiz was fun- super short but made them think and they asked some good questions.